For locals of the 757 who are looking for other anime fans to socialize with. Where To Find . . .
How many episodes are in that series?! Genres – what are they? Anime Gestures – What’s that Mean? Salt and pepper – seasoning. Bring some water with a sprinkle of salt in it to a boil and then dice and peel your potatoes. Begin to cook your potatoes. Mince your carrot and onion. Heat up a frying pan and put a little vegetable oil in it. Cook your meat. Dab with a paper towel as necessary to get rid of excess moisture and fat. Add in the onions, carrots, and all of the ◎ ingredients together and simmer over low heat. Once it’s done, turn off the heat and let it sit. Once the potatoes are done, drain them. Now mash all, yes all, of the ingredients together and push it all down in a bowl. Do this while the potatoes are still warm/hot to make sure that they will keep the meat and veggie mixture properly mixed in. Line it up on a cookie tray or cutting board and divide it into 12 parts with a spatula. While they are still warm (You need to work quickly), shape them into cylindrical shapes. Once done, now you can let them cool. Prepare your frying oil. Only use enough to submerge the croquettes. Next line up a sort of assembly line where moving away from the pan is the panko, the egg and then the flour. 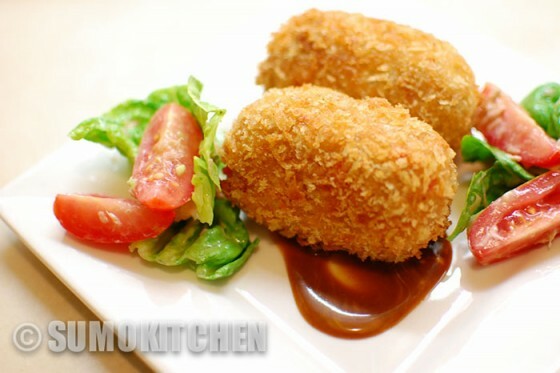 Roll the croquettes in the flour. 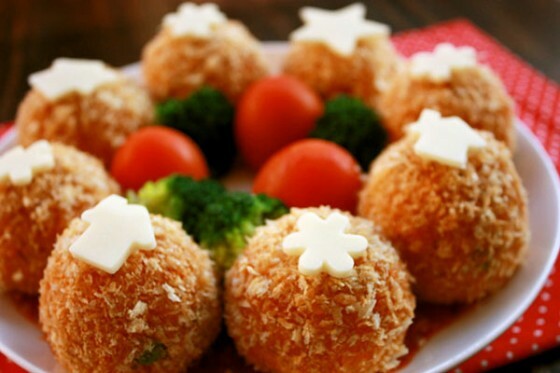 Dunk them in the egg and then completely cover them with panko. As soon as this is done, drop them into the oil and fry them for a few minutes. A max for 8 minutes is all they should need if your stove/fryer is on the weak side. Once golden brown take out and rest on paper towels to absorb moisture. Hot or cold these are delicious! What series or genre will you find to explore?